Let us help make your child's birthday party or special occasion something truly unique! What is a dinky doodlers party like? We provide parties for children of all ages (not just preschoolers!) and would love to have a chat with you regarding what we do and any specific requirements you might have. Our parties are all about fun as well as every guest making 2 - 3 art and craft pieces to take home. One of the things that makes our parties so special is that we don't just offer a few standard party packages - we let you choose the theme and then use our creative imagination to craft art activities that will be just perfect for your child and their friends. The theme can be pretty much anything - from Pirates or Princesses to jungle animals, mermaids or even space - the choices are almost endless! 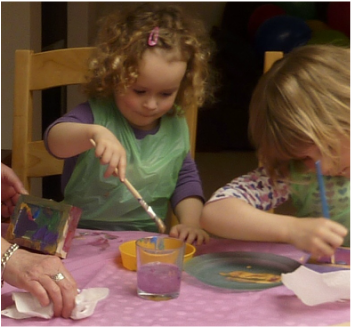 ​For older children we can introduce additional craft options such as fabric painting and beading. 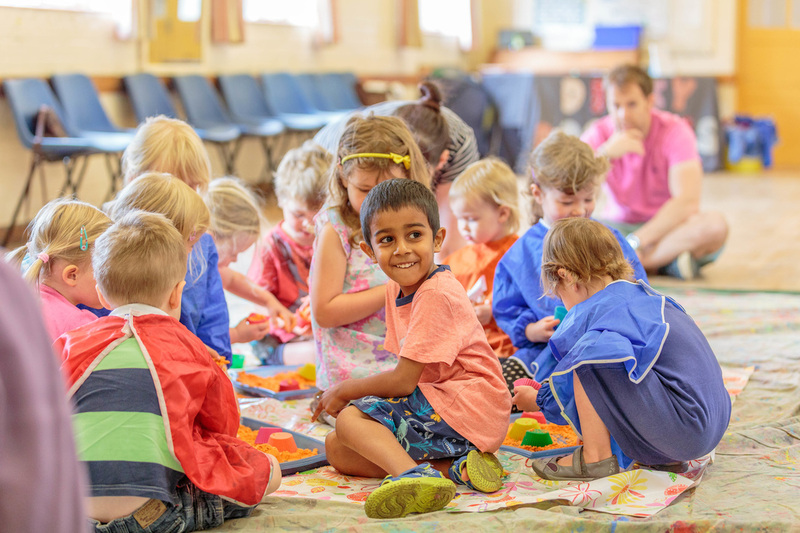 We have a wealth of experience and creativity and will design activities that the children and your guests will love - and of course everyone taking part in the party will have their wonderful creations to take home with them and treasure! We allow 2 hours running time for our parties to include a 1/2 hour break for food. We provide all materials, aprons, floor coverings and name stickers so all you need to organise is the venue, food and party bags. We’ll bring our party expertise to your home or a venue hired by yourself. The cost of the party package is £160 for up to 12 children and then £8 for each additional child thereafter. "I was looking for something a little bit different for my daughter's 4th birthday and a Dinky Doodlers party was perfect. So easy for me as the entertainer turned up with all the supplies, protection from mess and ideas. The kids had a great time as each activity was tailor-made to suit our guests. Most importantly - birthday girl loved it! "I just wanted to drop you a quick email to thank you again so much for such a fun 5th birthday party for Isabella and her friends today. They certainly had a brilliant time and their artwork was super. All thanks to you for your efficiency and professionalism in making the whole process a very easy and enjoyable one for us. I will certainly recommend you very highly..."
"I just wanted to say a huge thank you for Saturday, it was just brilliant! I can't believe how many activities you managed to pack in! The feedback I've had from Saturday has just been amazing - so huge congratulations to you!"